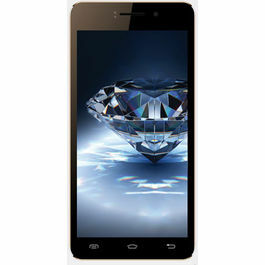 Karbonn Smart A111 is out to set your world rocking with its fantastic features, stylish look and stunning performance. 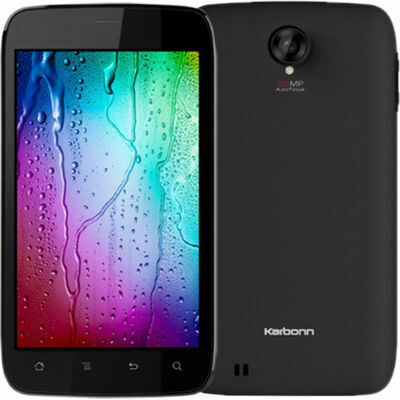 The all new Karbonn A111 is decked with a 5 inch multi-touch capacitive screen. The display screen is easy to use and the user can simply pinch the screen to zoom in and out the pictures. Bring your virtual world come alive with Karbonn A111 display of WVGA 480 x 800pixels resolution. 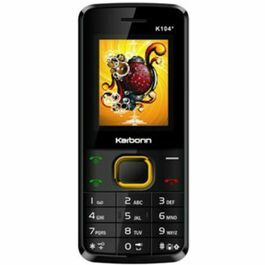 Karbonn mobiles have built this superb phone on the robust platform of Android v4 Ice Cream Sandwich operating system. This operating system lends the phone it’s smooth and efficient handling of multiple apps and proper functioning of all its features. 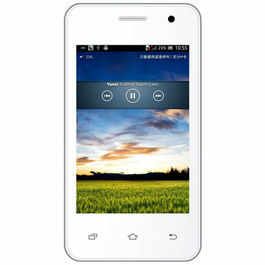 This powerful Android based phone supports 3G to provide you with high speed internet connectivity of up to 7.2 mbps. Accessing internet is not only easy but fun on Karbonn A111 with its stunning Wi-Fi connectivity that can be turned into Wi-Fi hotspot. Wi-Fi hotspot allows you to share and connect up to 8 devices. You can also share files with other digital devices like laptops, mobiles, and tablets with USB port and Bluetooth v.2.1. Hear better and louder music on Karbonn Smart A111. The phone supports media file formats such as MP4, 3GP, MP3, AAC, WAV, MIDI, OGG, AMR, AWB and many more. It also has a rocking speaker to make you go crazy while listening to your favorite music on your favorite Radio Station as it supports FM Radio as well. Enjoy watching video playback too on this amazing phone. Have fun with 5 megapixels camera inbuilt on Karbonn Smart A111. The camera ropes in features like Auto Focus, Burst Mode, Face Detection, and it also supports 3rd party applications such as Skype, Gtalk, etc. There is a front camera in the phone as well for making you have convenient video chat or video call over VoIP. The phone also has a flash light to give better picture quality in low light surroundings. A111 comes with a strong 2100 mAh battery that makes your entertainment with your phone last longer. Now store as much data as you want as this phone comes with a 32 GB extensible capacity via external memory card. 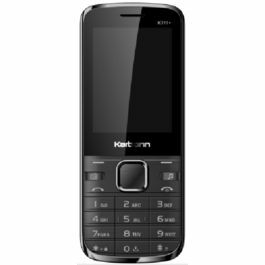 Take advantage of other stunning features like Notification Panel, Application Back-up, Scheduled Back-up, Movie Studio, and Audio Recorder on Karbonn Smart A111. You can also use popular apps such as Skype, Google Talk, Customizable Widgets, Google Play, Play Store, Facebook, Yahoo, NexGTv, PayTM, Google, and WhatsApp. 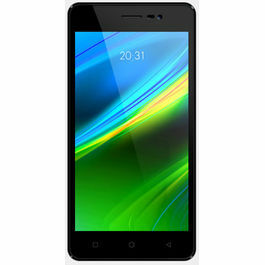 Karbonn Smart A111 is out to set your world rocking with its fantastic features, stylish look and stunning performance. Display The all new Karbonn A111 is decked with a 5 inch multi-touch capacitive screen. The display screen is easy to use and the user can simply pinch the screen to zoom in and out the pictures. 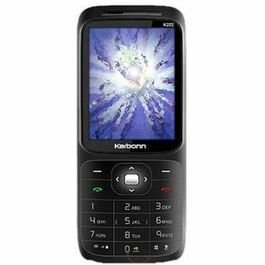 Bring your virtual world come alive with Karbonn A111 display of WVGA 480 x 800pixels resolution. 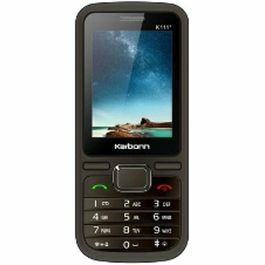 Operating System Karbonn mobiles have built this superb phone on the robust platform of Android v4 Ice Cream Sandwich operating system. This operating system lends the phone it’s smooth and efficient handling of multiple apps and proper functioning of all its features. Connectivity This powerful Android based phone supports 3G to provide you with high speed internet connectivity of up to 7.2 mbps. Accessing internet is not only easy but fun on Karbonn A111 with its stunning Wi-Fi connectivity that can be turned into Wi-Fi hotspot. Wi-Fi hotspot allows you to share and connect up to 8 devices. You can also share files with other digital devices like laptops, mobiles, and tablets with USB port and Bluetooth v.2.1. Multimedia Hear better and louder music on Karbonn Smart A111. The phone supports media file formats such as MP4, 3GP, MP3, AAC, WAV, MIDI, OGG, AMR, AWB and many more. It also has a rocking speaker to make you go crazy while listening to your favorite music on your favorite Radio Station as it supports FM Radio as well. Enjoy watching video playback too on this amazing phone. Camera Have fun with 5 megapixels camera inbuilt on Karbonn Smart A111. The camera ropes in features like Auto Focus, Burst Mode, Face Detection, and it also supports 3rd party applications such as Skype, Gtalk, etc. There is a front camera in the phone as well for making you have convenient video chat or video call over VoIP. The phone also has a flash light to give better picture quality in low light surroundings. Battery and Memory A111 comes with a strong 2100 mAh battery that makes your entertainment with your phone last longer. Now store as much data as you want as this phone comes with a 32 GB extensible capacity via external memory card. 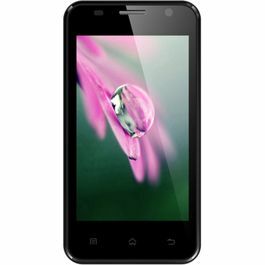 Additional Features Take advantage of other stunning features like Notification Panel, Application Back-up, Scheduled Back-up, Movie Studio, and Audio Recorder on Karbonn Smart A111. You can also use popular apps such as Skype, Google Talk, Customizable Widgets, Google Play, Play Store, Facebook, Yahoo, NexGTv, PayTM, Google, and WhatsApp.